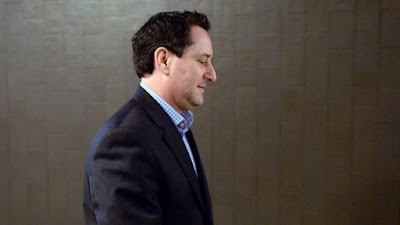 The former Mayor Michael Applebaum has now been sentenced to one year in prison after a total of 8 corruption charges were brought against him. The charges that were against him were corruption related, which sadly are often related to politics and politicians not only in Canada but around the world. Louise Provost who is a Provincial Court judge made the decision on Thursday in a Montreal Court House. She said that Applebaum committed “very serious” crimes that no doubt happened over a period of several years but also possibly happened during his time as the Mayor. Applebaum did say to everyone in the court room that he will take his time in jail to reflect upon his past actions and will plan for the future after this entire incident. He was handcuffed while addressing the courtroom and he is 54 years of age. "I can guarantee you and my family that I will be a better person when I come out," Applebaum said. It is also worth mentioning that Applebaum took power in 2013 with a promise to clean up Montreal City Hall. Over seven months later he was arrested on charges of that go way back to his time as Mayor of borough mayor of Côte-des-Neiges–Notre-Dame-de-Grâce. This is one of the largest boroughs in Montreal. The Prosecutor of the case spoke to reporters outside of the case Nathalie Kléber said that this will send a clear message that there is consequences for actions by which you break the law. Applebaum did have to go to the hospital to be treated for an ailment issue earlier in the day that is currently unknown. This caused the sentencing to be delayed by just about an hour. He was convicted in January of eight corruption related charges that include two accounts of fraud on the government, and conspiracy to commit fraud on the government, and conspiracy to commit breach of trust. However Applebaum was lucky because he could have received a maximum sentence of 5 years but was lucky enough to only get 1 year. The prosecutor did ask for a “significant but reasonable” sentence and did ask for it to be less than the maximum: Two years in prison followed by two years of probation.